Rev, do you take on lost causes? I'm happy to answer any questions....if i can. A few more pictures of my almost complete turntable. I still need to do some woodwork and polishing but it's almost done. I'm at the point of mounting a cart, should do that in the next couple of nights. Wow, really nice work! Looks awesome! Damned that looks good. My TT is kinda bland, so I have it near some junk to add interest. Yours can stand on it's on. Finished. Tracks amazingly, but a little too much spring. Would be better on a flat, non-suspended board but oh well. You learn. How does it sound! The whole floaty ball thing has me curious and mystified. What do you believe are the best attributes of the floaty ball? Excellent work Rev!! Looks awesome!! Thanks everyone. I will bring it to the shop sometime in the near future. I think the best attribute of the floating tonearm is that it cuts down tremendously on the friction you can have with a regular tonearm. A regular pivot arm is going to have restrictions from the pivot point. A linear tonearm is still going to have limits because you still do not have a full range of movement. This floating ball allows it to move effortlessly. I think well tempered might have goofed when using a golf ball. It works, but has a lot more weight to it then a ping pong ball would. I think having only the weight on the head and the tone arm weight on the opposite end works better. I wasn't sure if I was going to have to add weight to the ball, I had planned for it if needed but it turns I didn't. I found a lubricant fluid that works very well for the ball to sit in as well. I tried several things but I think I found the right one. This turntable is a model. I built it by mostly working with one piece at a time, a lot of superglue and trial and error. I'm not particularly happy with the appearance but I know what works and what doesn't now. I think I have this tonearm figured out and can make it 10x better. I'm already in the process of making a second that will be aesthetically better. I found something that I really enjoy doing and have the thought of making more in the future and selling them. Or if someone wants it added to their existing TT I can do that as well. Just a thought. Looks great! especially for a prototype! How's the sound? It sounds very good but I've only listened to it for about an hour so far. One mistake I found right away was with the Thorens, it is a suspended plateform so the tonearm board moves with the platter. 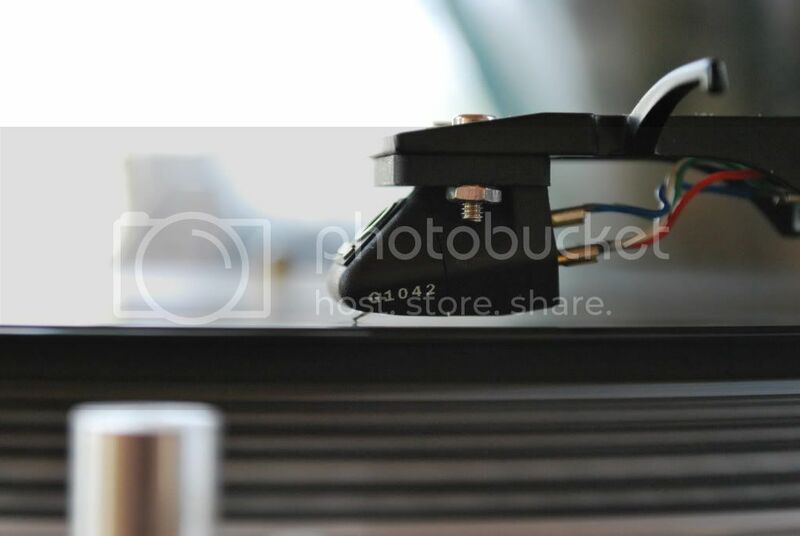 This type of tonearm needs to be on a non-suspended table or mounted on a flat/non-moving surface. It's overkill and makes it more susceptible to vibration. That's crazy Rev...I LOVE IT!!!! !